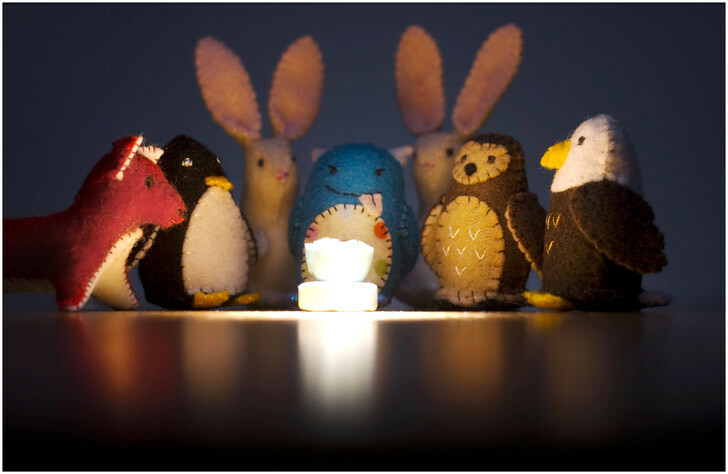 Amy Monteith (AKA Jefita, Maker of Things varied and wonderful) creates hand-made plushies from her studio in a row home in Savage, MD. Roughly two inches in height, they are much taller in personality. In fact, some could be called quirky -- if not downright malevolent at times. Monteith sells them all over the world via her web site, and her cast of characters is always changing. When she is not sewing felt-and-polyfill creatures, Monteith also works as an artist and illustrator. Monteith also blogs at the Chronicles of Jefita.